It’s a beautiful sunny autumn morning. We wake to the sounds of monks chanting and bells jingling in the faint breeze. We stumble out of our room and onto the roof top terrace of the Samye Monastery Hotel. The sunlight is blinding. We sit for a while, sipping hot tea, taking in the views over the monastery and postponing the packing for as long as possible. We’d have loved to have spent another day, but eventually we peel ourselves away and go in search of a truck that will take us and the locals to the ferry quay to cross the Yalung Tsampa (the Brahmaputra River). Today we are heading to the Yumbulagang Palace. The ride back to the quay is bumpy and uncomfortable. Margie, hemmed in between burly Tibetan peasant ladies and their bundles, is holding on for dear life and balancing precariously on the rim of the truck. The landscape is almost lunar. 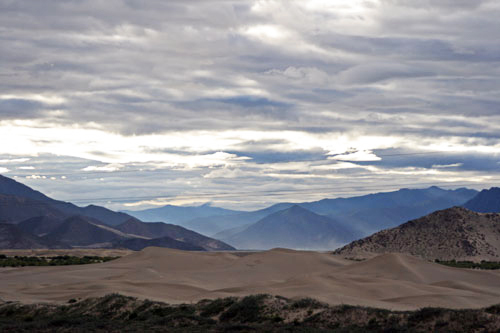 Sand dunes rise and fall and in the distance are the ranges of Tibet’s snowcapped mountains. When we arrive at the quay we find more people waiting for the ferry, their belongings include motorbikes and various pieces of heavy machinery. There are also two other western travellers. We hang around while the boat is haphazardly loaded. Our obligatory guide, Norbu, whose English is appalling and whose Chinese is non-existent, sheepishly keeps a low profile as the rapacious boatman (why is it always boatmen?) tries to extort 25 Yuan from all Westerners. The local price is 5 Yuan. I begin haggling for the sake of principle and he grudgingly agrees to take 20 Yuan. However, he seems really pissed off with me for having used Chinese to negotiate and spends the whole crossing scowling and shooting me fierce looks. There’s a further uncomfortable standoff as the other two travellers refuse to pay anything but the local price. Only when the boatman and his cronies literally threaten to drag them off the ferry do they eventually pay up. The delay does have one positive outcome. Our obligatory driver, who we hadn’t seen all morning, manages to get to the quay before the boat departs; he and the hapless Norbu having totally messed up their co-ordination. The crossing is smooth, if a little cramped. 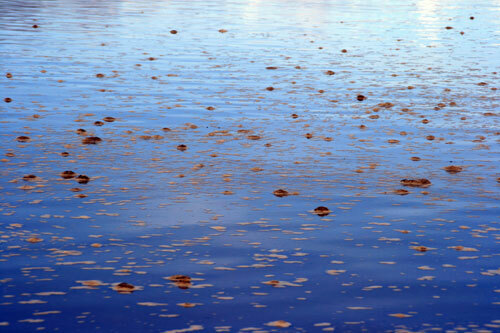 The Brahmaputra river, which eventually empties out into the Bay of Bengal, is depressingly polluted, with vile looking algae and flecks of foam floating everywhere. Once we reach the other bank we are reunited with our jeep and carry on along the Yarlung Valley to the Yumbulagang Palace. 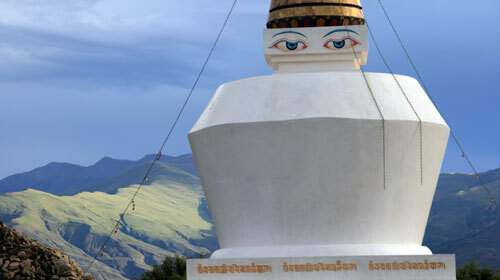 We pass through the large modern town of Tsetang and the famous Traduk Temple before the Yumbulagang comes into view. And what a sight! 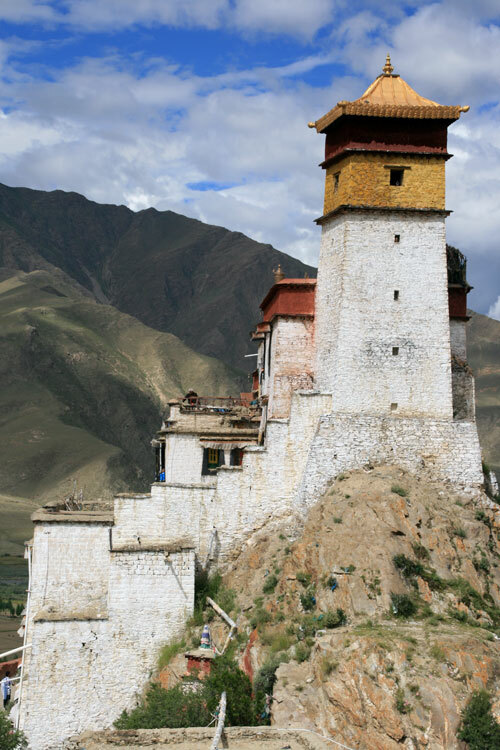 The palace perches dramatically on a rock overlooking the valley, enjoying a spectacular view that the early Tibetan kings would probably still recognize even today. The Yumbulagang Palace was purportedly built in the second century b.c. 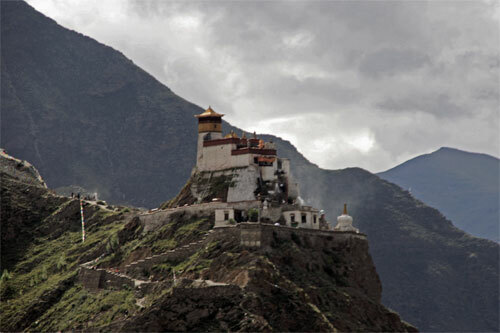 and is said to be the home of the first Tibetan King, Nyatri Tsenpo. Legend has it that Nyatri Tsenpo had descended from heaven. 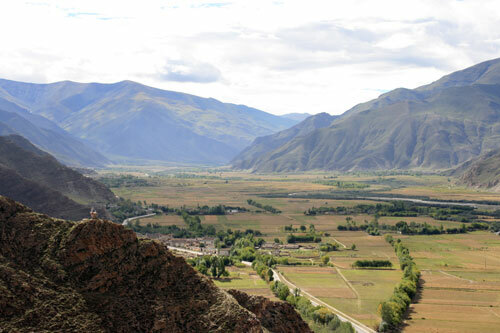 The Yarlung Valley, which the Yumbulagang Palace watches over, is known as the cradle of Tibetan culture and the Palace was home to various Tibetan Kings and Queens, including Songtsän Gampo and the legendary Princess Wenchang. Unfortunately the palace suffered serious damage during the Cultural Revolution and what you mostly see now is the 1983 restoration. 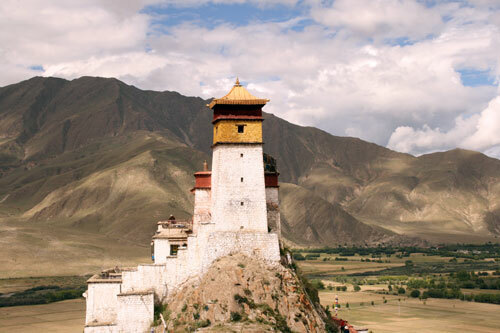 Below the palace, to the northwest, is the first cultivated field in Tibet. 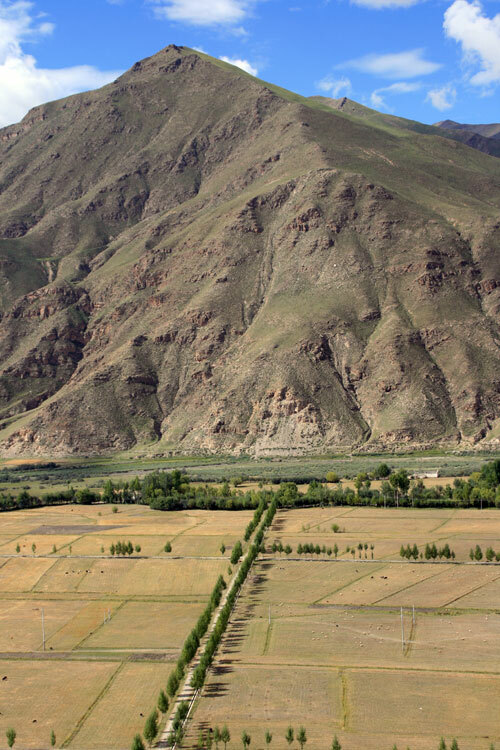 The field is called Zortang, and even to this day, Tibetan farmers scatter soil from Zortang on their own fields to guarantee a bumper harvest. Our driver, not our guide, timed our visit to avoid the hordes of Chinese tour groups that have their visits programmed for the early morning and late afternoon. He is right; there are no tour groups to be seen, and so it’s just us and a handful of Tibetan pilgrims left alone to wander around the palace. We leave our driver at a teahouse and set out to explore. Our guide feels obliged to tag along, but since he has never been here before and doesn’t have the vocabulary to explain the history, he might as well have gone for tea. Even so, we feel a bit sorry for Norbu. He’s a only young lad and though he’s Tibetan, he grew up in India and has only been back for a year. He seems to know as much about his mother country as we do. We never wanted a guide, but you have to have one to stay overnight in Samye. The agency in Lhasa had promised us an English or Chinese speaking one; Norbu was neither. He hadn’t even got his guide papers in order yet, and had spent the previous night at Samye in fear of being found out by the local police. Downstairs, a resident monk is chanting and banging a large drum. As we ascend the tower- like palace, we explore the small, somewhat pokey interior rooms. They house a few curious statues of Tibetan kings but there’s nothing exceptional, especially if you have just come from the magnificent Samye Monastery. The Yumbulagang Palace is all about ambience, setting and scenery. 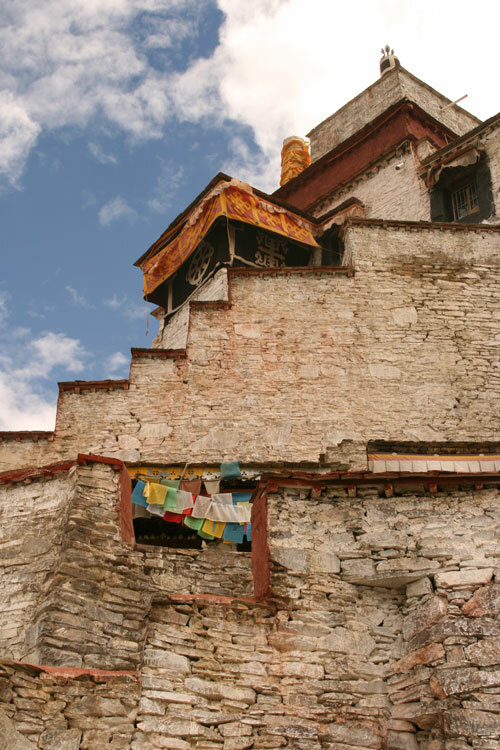 We get chatting to some young girls from Lhasa and join them and the pilgrims on a trek around the Kora, the pilgrims’ path that circumambulates all sacred buildings. 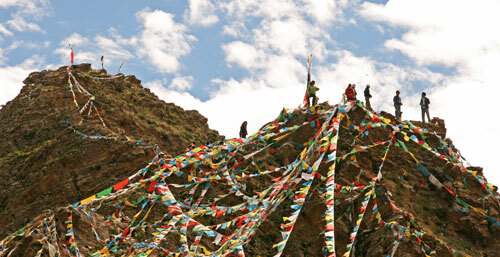 We buy some paper prayer flags that we throw into the air when we reach the top of the Kora. 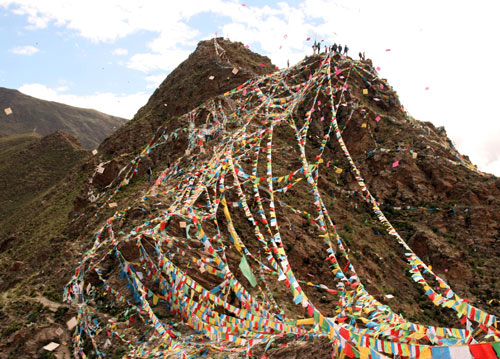 The whole area is bathed in a sea of fluttering prayer flags. At last Norbu comes in handy. Margie has trouble with the steep decent and Norbu offers a helping hand. 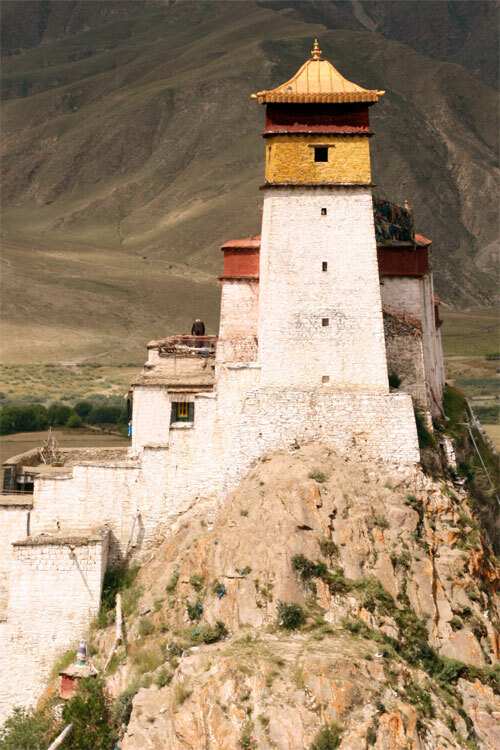 Then it’s time to move on to the isolated monastery of Mindroling (another story). Accommodation: The Monastery Hotel is right next to the Utse, it is a three-storey building with a courtyard; basic dormitories are on the ground floor, while the best doubles are to be found on the rooftop. Here, a carpeted double (grimy carpets but clean bedding) with a TV and a wash-stand goes for 150 Yuan. Hot water is brought round in the evenings. The toilets are a couple of squats in a concrete shack on the roof, no privacy whatsoever, but surprisingly clean. There are public showers on the ground floor. Some of the rooms, as well as the rooftop terrace, offer fantastic views over the monastery. Food: there is a restaurant, with English menu, attached to the monastery hotel, with indoor and outdoor seating. The food is quite basic, but the beers are cold. Other options: just outside the monastery gates there is a whole new part of the village under construction, gearing up for tourism. A couple of simple guesthouses and restaurants are already open, offering similar facilities but without the stunning views. Permits: permits were officially required for Samye and all foreigners staying at the monastery hotel were checked by the police, while those staying in the guesthouses outside the walls seemed to be getting away unchecked. 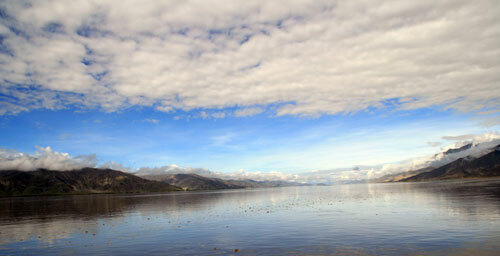 Transport: there are plenty of vehicles, such as pick-ups, jeeps and vans to pick people up, or take them to the ferry. The earliest ferry leaves at around 8 o’clock. As a foreigner, expect to be charged 25 Yuan, even though locals only pay 5. We tried to negotiate a reduction, especially since the ferry was full and there were about 6 foreigners on board, but the boatpeople were quite inflexible and slightly aggressive. We eventually managed to get a 5 Yuan reduction, as a matter of principle. 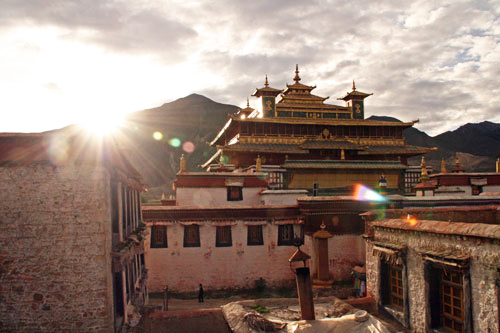 Travellers coming from the town of Tsetang can reach Samye by road, crossing a bridge. This option is used by most tour groups who seem to pop in after noon, spend an hour whizzing around the Utse and leave again. Useful item: bring a decent torch if you want to see the magnificent murals in the main temple!